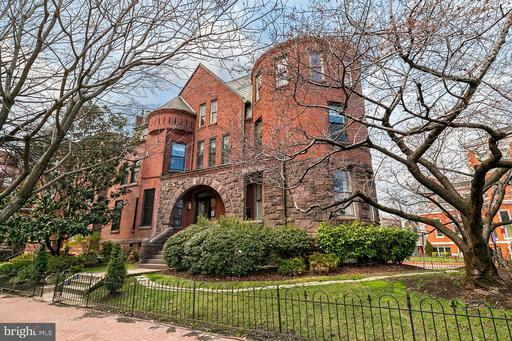 Stunning, Penthouse condo in "The Castle" directly overlooking Logan Circle! This Victorian unit features a mix of classic and modern details including original wood trim, remote controlled blinds, vaulted ceilings, hardwood floors and exposed brick framed by bay windows. 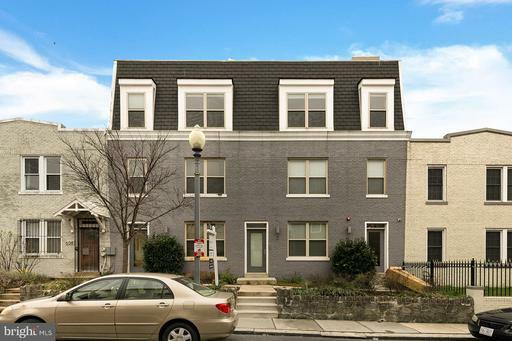 180 degree views provide one of the absolute best views of Logan Circle in town! Enjoy abundant natural light throughout and two vintage fireplaces! Gourmet kitchen boasts granite counters with custom tiled breakfast bar + backsplash, white cabinetry and stainless steel appliances. Huge walk-in wine cellar. 2nd level loft bedroom. Luxury master bath features granite counters, dual vanities, glass shower, custom tiling and washer/dryer in unit. 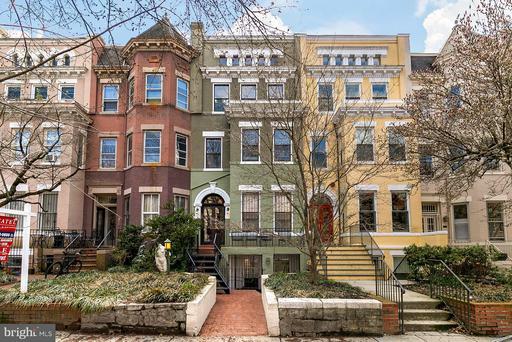 Only steps to 14th st dining, shops and nightlife and close to Mt Vernon Sq metro. 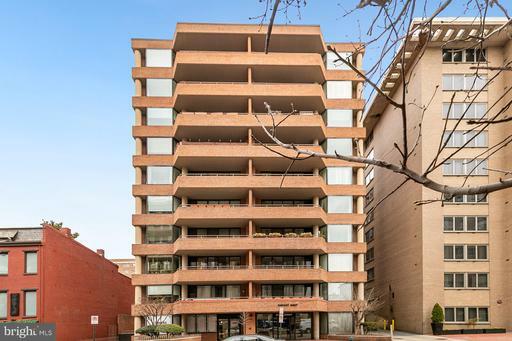 Absolutely gorgeous 2 bedroom, 2 bath condo with parking in the heart of Columbia Heights! This bright and spacious unit is fully updated and features an open concept living room with 10 feet ceilings, expansive built-in shelves + desk and hardwood floors. Wrap around windows with two exposures provide plenty of natural light throughout! Gourmet kitchen boasts a large granite island with breakfast bar seating, ultra-modern stainless steel appliances and plenty of cabinetry. Large master suite features oversized windows and luxury marble bath with glass shower and double vanities. Washer/dryer in unit. Nest thermostat included. Private patio/outdoor space for pets. Easy access to shared garden and PARKING SPOT INCLUDED. 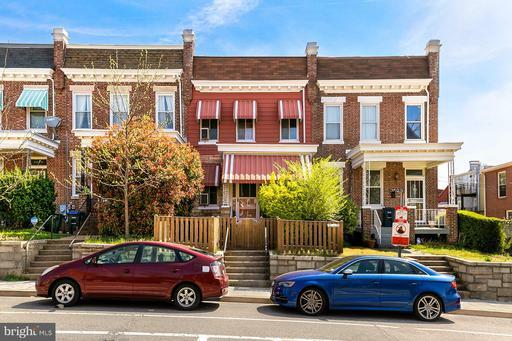 Walk to Petworth and Columbia Heights Metro, shops and a wide variety of dining options! 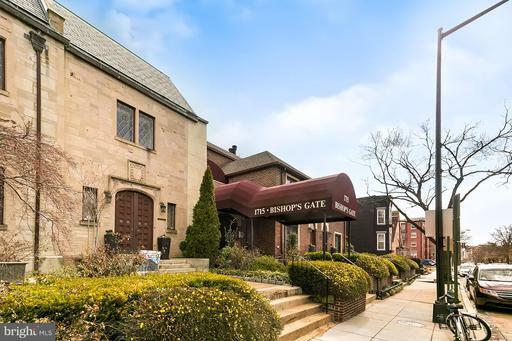 Charming condo in the heart of Logan Circle! Unit features 1 bedroom + den that can be used as 2nd bedroom or home office, private entrance + brick patio, high ceilings and hardwood floors. Gourmet kitchen boasts stainless steel appliances, expansive butlers pantry plus plenty of cabinetry. Lots of natural light throughout! Spacious master bedroom with en-suite bath that connects to second bedroom. Large utility room with washer/dryer and lots of storage space. Garage parking, storage space, and/or bike parking potentially available. 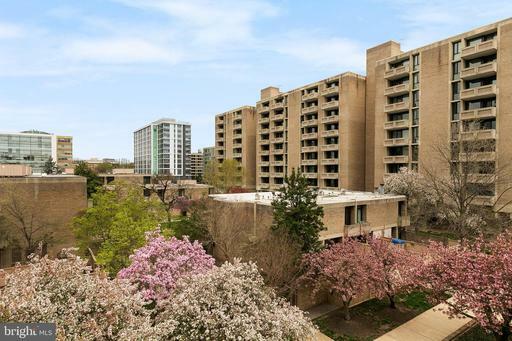 Only steps to bustling 14th St restaurants, shops, Whole Foods and near U St metro, Meridian Hill Park. Easy access to Dupont metro and shops. 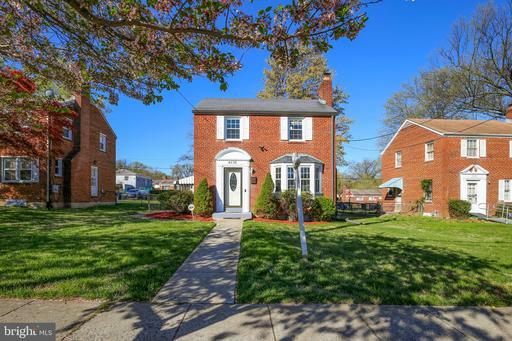 Beautifully updated Single family home in Ft Dupont Park. This spacious home features 3 bedrooms, 2.5 baths, fireplace, crown molding, built in bookcases and hardwood floors. Lovely bay windows provide lots of natural light! Gourmet kitchen boasts stainless steel appliances. Modern upgrades include surround sound wiring in living room + basement, security system, exterior motion sensor light and more! Finished basement with full bath. Enjoy summer entertaining in your backyard! Close to metro and bus lines. Beautifully renovated condo near highly sought after waterfront, The Wharf! This corner unit features 2 bedrooms, 1 bath, private balcony overlooking the courtyard and custom fixtures throughout. New windows in unit and balcony door provide lots of natural light! Updated gourmet kitchen boasts new stainless steel appliances. Luxury bath features new toilet, fixtures and refinished tub. Pet-friendly building features a courtyard area with pool, 24 hour concierge and laundry facilities. Only steps to Waterfront metro, Safeway, Nats Park and a wide variety of dining/entertainment options The Wharf has to offer! Condo fee includes gas, electric and water. One of the largest Jr 1 bed bedroom wall has been removed to open up the space units in the building with private balcony private parking. Unit features an open concept living/kitchen with breakfast bar and walk in closet. Pet/investor friendly building w courtyard area and pool... 24 hour concierge, 2 fitness centers, community room and laundry facilities. 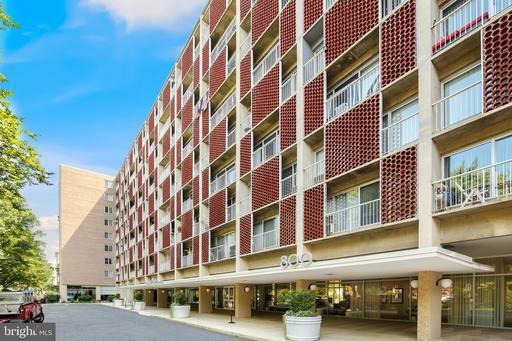 Only blocks to Waterfront metro, Safeway, Nats Park, DC United stadium and a wide variety of all the dining/entertainment options that Southwest Waterfront/The Wharf has to offer!